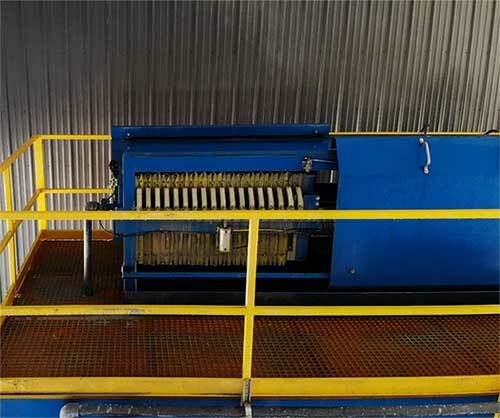 Aries designed and installed a fully automatic filter press for a stone cutting operation that typically operates with 50 to 60 filter press cycles per day. The filter press dewaters on average 330 ft3 per day. A bluestone cutting facility was seeking solutions on how to handle the increased solids generated by its rapid expansion. The bluestone cutting facility operates a closed loop water treatment system that recycles the water used as a lubricant and coolant for stone cutting saws. More details on this fully automatic filter press solution can be viewed here.